This workshop is not currently on the schedule. 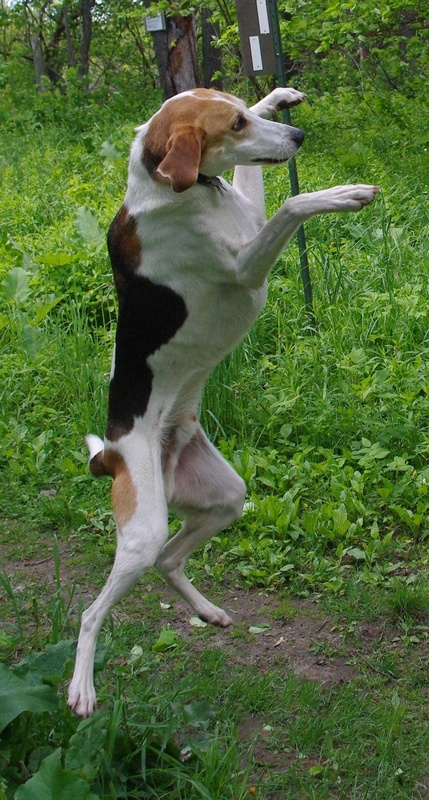 Dogs often greet people by leaping up toward their faces, leaving in their wake scratched legs, bumped noses and dirty paw prints on white pants. While this makes perfect sense to our dogs, it sure isn’t polite by our human standards! In this workshop, students will teach their dogs how to greet strangers politely without jumping up or mugging. Using positive reinforcement and clicker training we will teach the dogs a socially appropriate alternative to jumping up to greet. Owners will be walked through how to address this issue, see results in the workshop, and will leave with an understanding of how to apply these strategies to other areas of their dogs’ lives. Handouts will be sent to all participants, pre-registration is required. Each dog is absolutely required to have two handlers over the age of 16. The second handler will act as a ‘decoy’ for other dogs. The workshop cannot run smoothly if this condition is not met. No training prerequisites are necessary for the workshop. Past, current and new students are welcome to attend. All dogs must be over 16weeks of age and fully vaccinated. Dogs over 6 months must show proof of rabies. All dogs must be friendly with people and dogs. There may be contact between dogs while on leash during this class, and there will be close contact with unfamiliar people. This is not an appropriate program for dogs who are not overtly friendly and non-reactive with both people and dogs. Corrective collars are not permitted in class. Workshop spots will not be held until payment is received. Registration for this class indicates acceptance of group class policies.